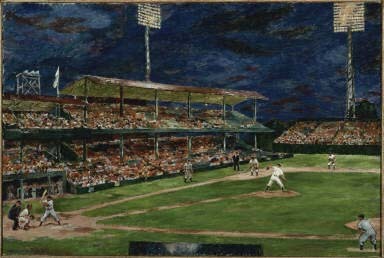 Marjorie Phillips, Night Baseball, 1951, Oil on canvas, 24 1/4 x 36 in., Gift of the artist, 1951 or 1952, The Phillips Collection, Washington, D.C.
Look closely: What is happening in this painting? Duncan Phillips introduced his wife, Marjorie, to the world of baseball after they got married. What do you like to do during the summer? 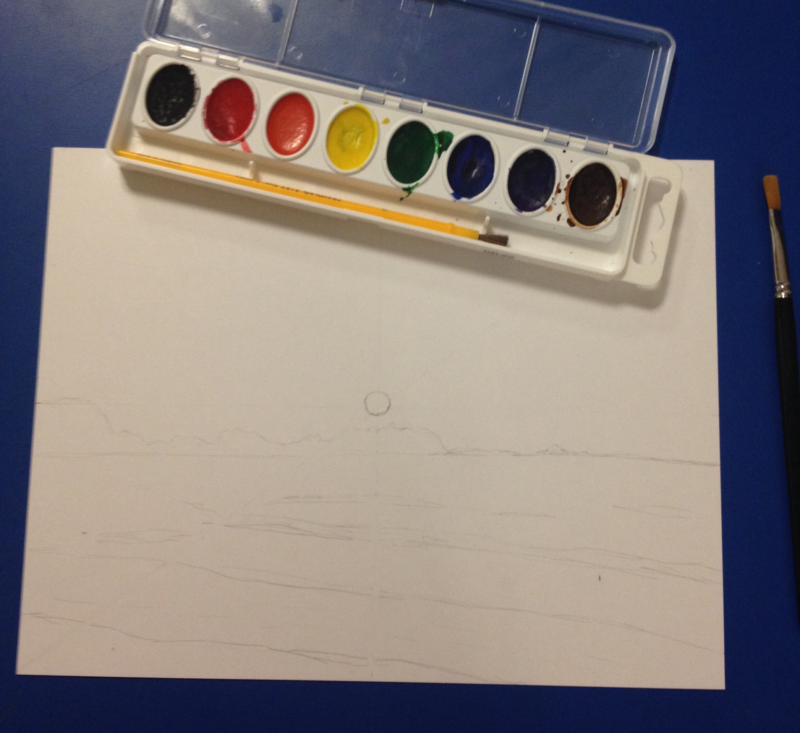 What kind of summer activity would you turn into a painting? About the artist: Marjorie Acker Phillips was founder Duncan Phillips’s wife and his partner in developing The Phillips Collection. She was born on October 25, 1894 and began drawing at the age of five. By 1918, she was commuting from her family home in upstate New York to New York City to take classes at the Art Students League. She met Duncan Phillips in 1920 during the Century Club exhibition of his collection. Marjorie felt that she and Duncan were kindred spirits and they were married in 1921. She became associate director of the new Phillips Memorial Art Gallery in 1925, and stayed in that position for the next 41 years. During this time she was an active painter while being Duncan’s partner in selecting works of art for the museum. When Duncan passed away in 1966, Marjorie became the director of the Phillips. She passed away in Washington, D.C. in 1985. The Phillips Collection has 60 oil paintings and 2 watercolors by her. 1. 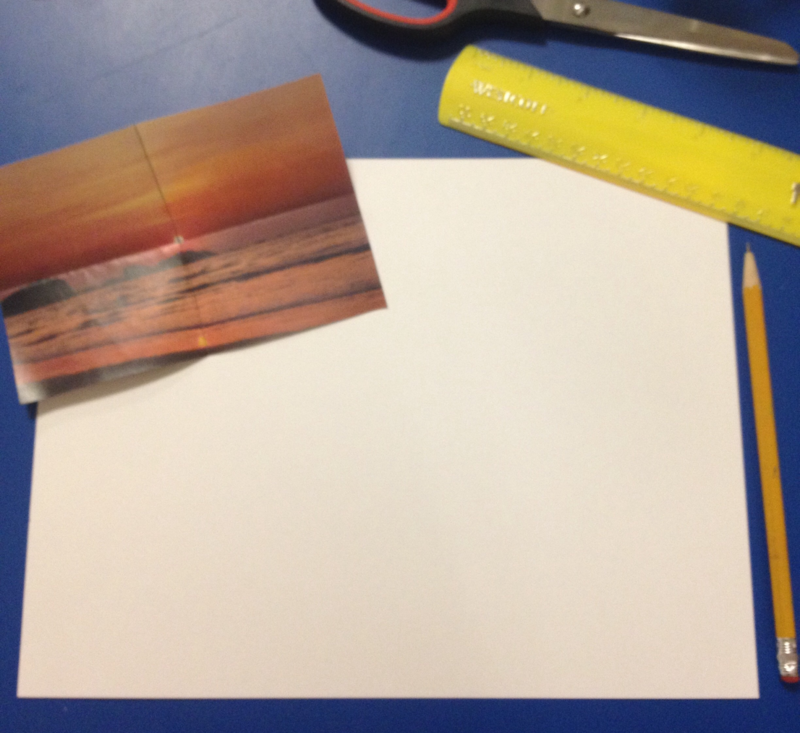 Print out a picture of a scene from your favorite summertime activity. 2. 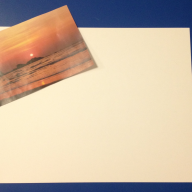 Cut out the picture and fold in half one way, then the other way to create a 4-square grid on your cardstock paper. 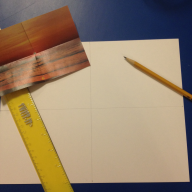 Make a dash at 4 1/4″ on the 8″ sides. Make a dash at 5 1/2″ on the 11″ sides. Connect the lines to make a grid. These will be your reference lines. 3. 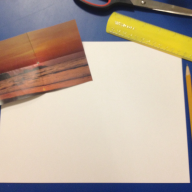 Place the picture in the corner of your paper and place your ruler from corner to corner on your picture. 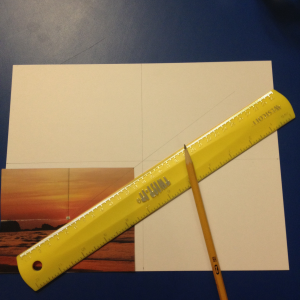 Draw a diagonal line through the center of your grid. Continue the diagonal line where the picture was placed. 4. 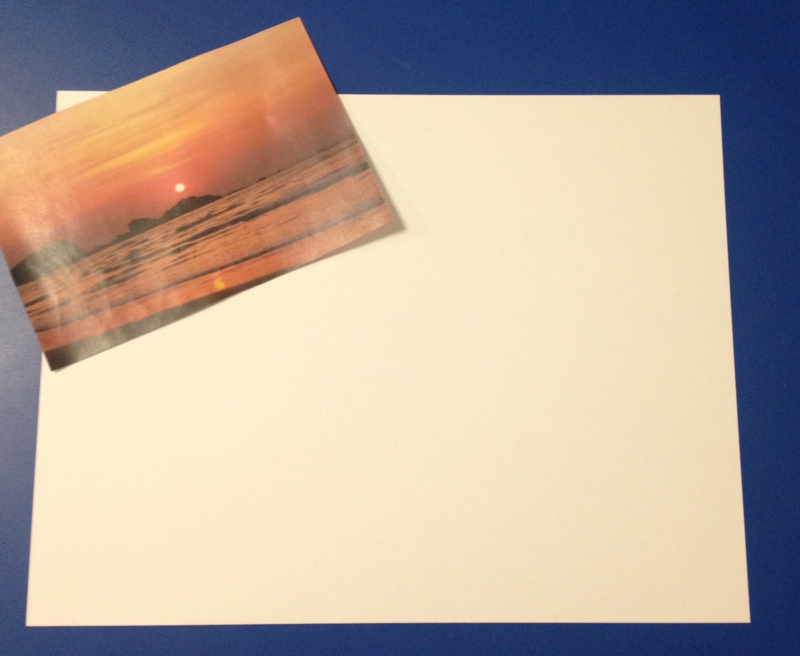 Now, you have a better idea of where things are placed in your picture. 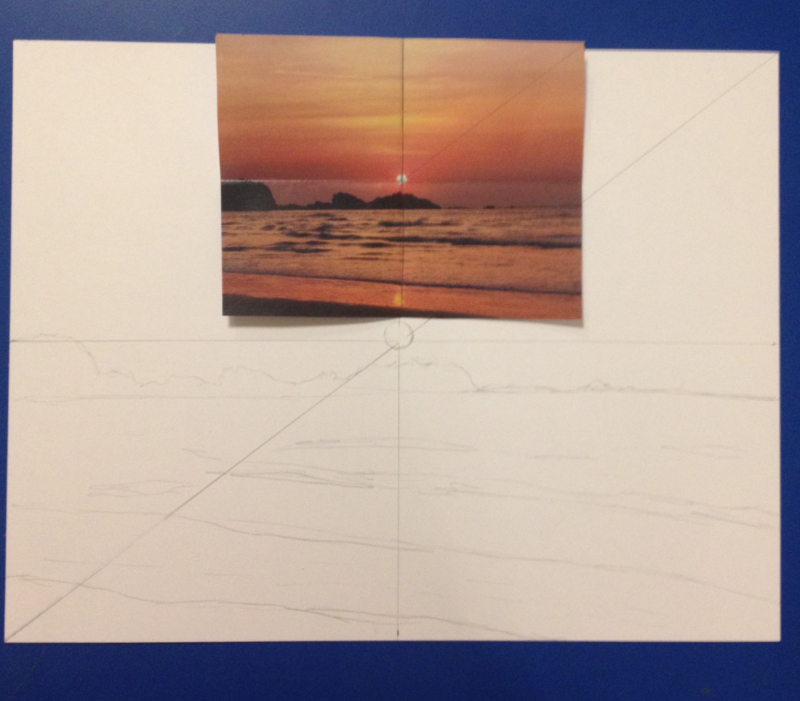 Begin to lightly draw what is in your picture by using your laid-out grid as reference. 5. 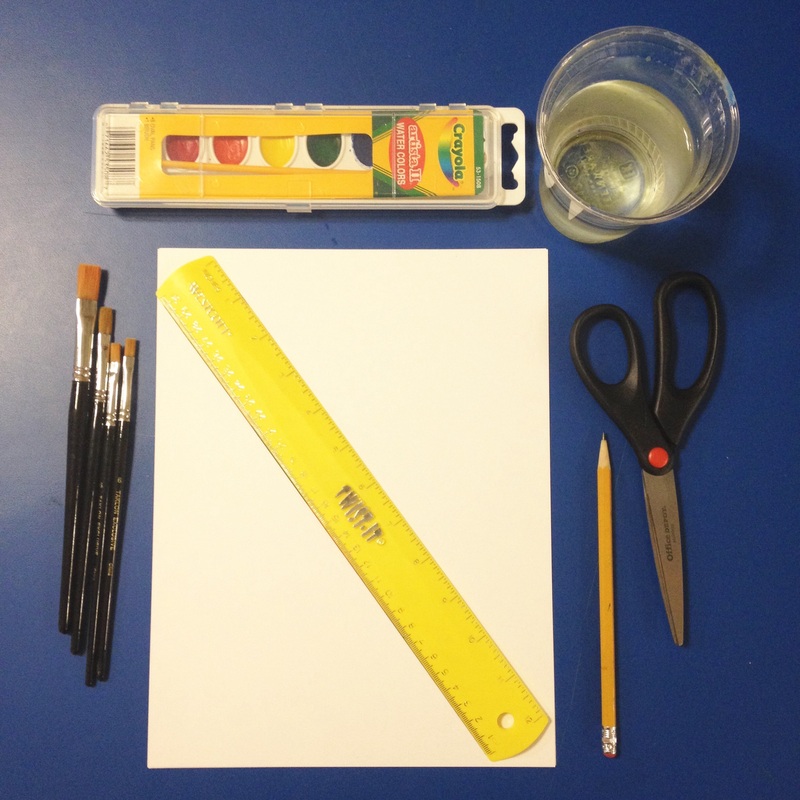 Once you have drawn your picture, erase your reference lines and set out your watercolor set, brushes, cup of water, and paper towels. 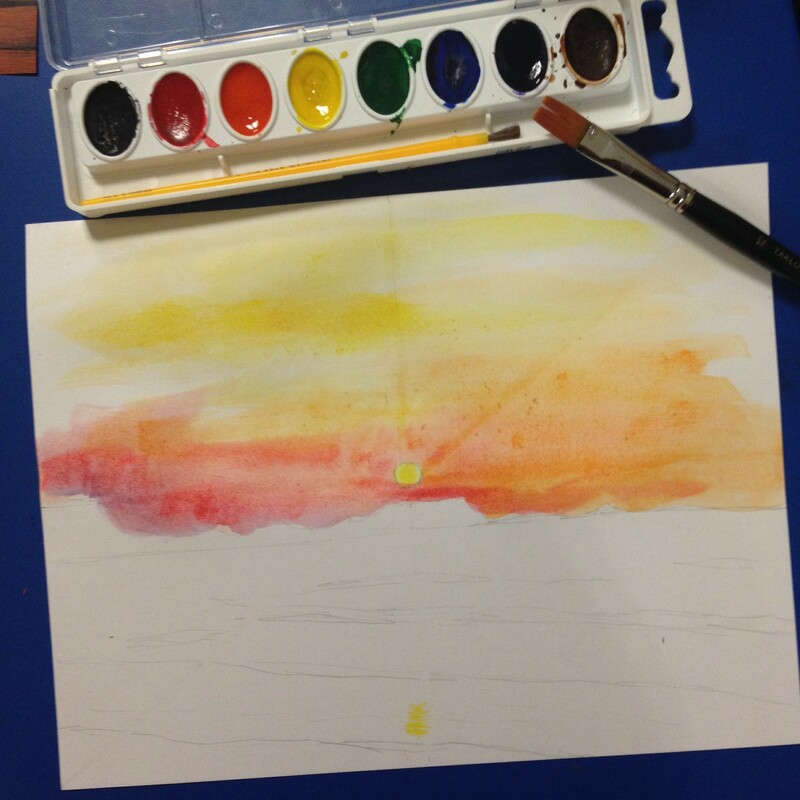 Begin to paint your picture; the amount of water you use relates to how bright your colors will be. 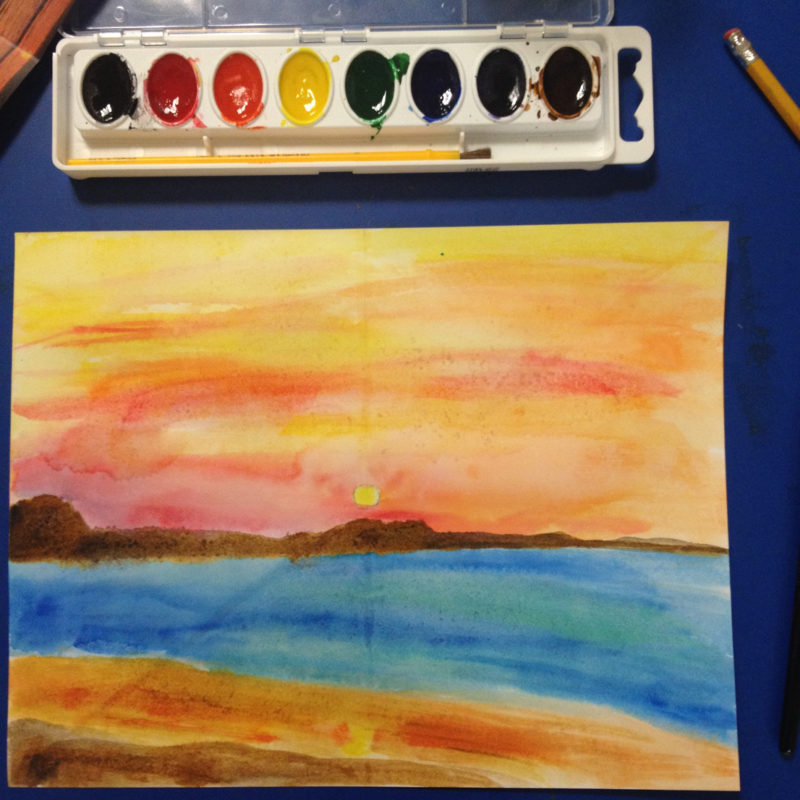 More water = lighter colors, less water = brighter colors. 6. 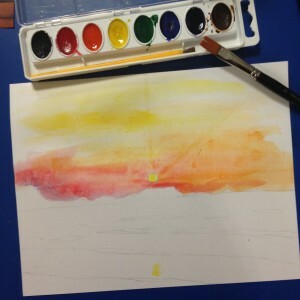 Feel free to keep adding to your watercolor as it dries. You can even add detailed lines with a pen. Once you are happy with your painting, give yourself a pat on the back because you just created a beautiful piece of artwork. In this series, we profile participants in the 2014 James McLaughlin Memorial Staff Show. 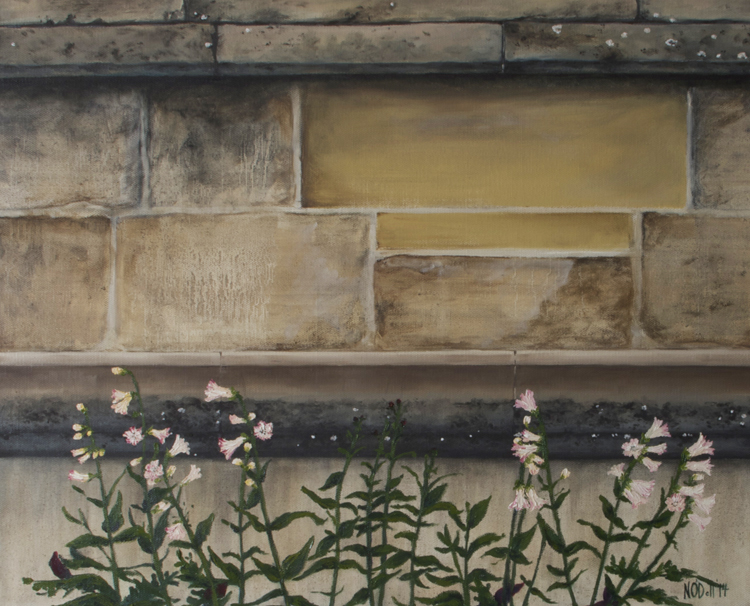 Natalie O’Dell, Cathedral wall, Bury St Edmunds, 2014, oil on canvas. 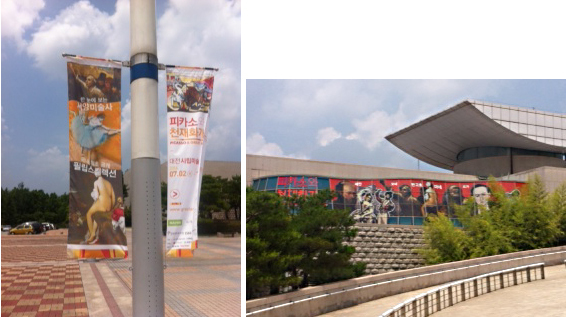 I’m a museum assistant and part time supervisor. My colleagues and I in the Security Department are on the floor every day, guiding visitors as they explore the collection as well as ensuring the safety of the artworks on view. We get visitors from all over the world and from a wide variety of backgrounds. The diversity of their perspectives never ceases to amaze me. Over the past year and a half at the Phillips, I have learned quite a lot from our public, refining my own opinions about art and expanding my understanding of the role cultural institutions play in the present and future. The answer to this question is always changing, but for now I would have to say Augustus Vincent Tack. He was an amazing portraitist, but that’s really just the tip of the iceberg. Tack’s work is spiritual, mystical, utterly entrancing, and absolutely underrated. He was ahead of his time. On top of all this, he and Duncan Phillips had a wonderful friendship and, as such, Tack played a key role in the early development of The Phillips Collection. When we close for the day, I always linger a little in the foyer and parlors of the house. For me, the most compelling aspect of this collection is its link to the unique story of Duncan Phillips and his family. There’s something so wonderful about the idea of truly living with art, and I fear that this concept, though championed by Phillips, has been lost on many of my generation. Nowhere do I feel more connected to the Phillips’s story than in the entryway and living rooms of their family home, a space they ultimately opened to the public in order to share their collection and cultivate an appreciation of art in others. 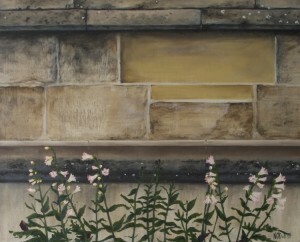 My work for this year’s staff show depicts a cathedral wall in Bury St Edmunds, England. Bury is a beautiful town with a fascinating history, but I must confess I harbor a particular fondness for it because it is where my husband and I honeymooned. Though the wall is part of what is now considered a very grand building, it was at one time only a small segment of a huge complex of religious buildings that dates back to the 10th century. When I first saw the wall I was immediately drawn to the way its surface weathering revealed its unique history. Over its many centuries of existence, the wall was changed by both human and natural forces, yet it still remains today. 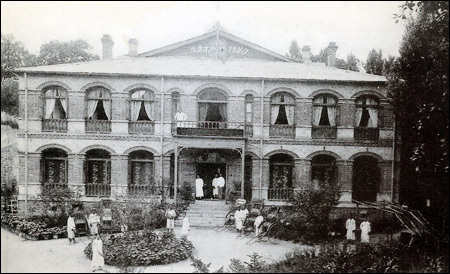 Indeed, its enduring presence is a testament to the permanence of the institution it houses. In painting the wall, I wanted my technique to mimic the actual process of weathering. I used successive layers of very thin paint that I allowed to drip down the canvas surface naturally while it was positioned vertically. For the floral foreground and the mold growth on the wall, I used looser brushwork, thicker paint application, and a more impressionistic technique to emphasize the difference between these transitory natural elements and the permanence of the wall behind them. Both in selecting this painting’s subject matter and over the course of creating it, I kept the dialogue between two and three-dimensional space in mind. 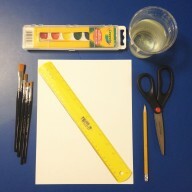 Representational art has historically been tied to the process of collapsing real, three-dimensional space into a fundamentally two-dimensional picture plane (which is itself presumably to be perceived as three-dimensional by the viewer). I have always been interested in this dialogue and I hope the tension between different kinds of space is highlighted by this painting’s subject.